Weill Cornell Medical College in Qatar, in association with the Supreme Council of Health, has launched an ambitious, long-term campaign to help improve the health of the nation. Titled Sahtak Awalan; Your Health First, the five-year campaign aims to educate both the Qatari and expatriate communities about healthy lifestyles. The initiative was launched by His Excellency Abdulla bin Khalid Al Qahtani, Minister of Public Health and Secretary General of the Supreme Council of Health. Strategic partners in the campaign – Qatar Petroleum, Exxon Mobil, Occidental Petroleum of Qatar and Vodafone Qatar – were also at the launch. His Excellency said that Your Health First fully supports Qatar’s National Health Strategy (NHS) 2011-2016, which aims to enhance the wellness of the people of Qatar and includes amongst its several goals preventive healthcare. 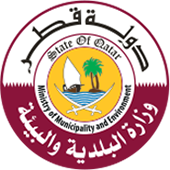 He added: Your Health First basically targets the 10 to 25-year-old age group and is a perfect example of the fruitful cooperation between public and private sectors, and comes in line with the vision of SCH that the private sector is a vital partner to promote quality healthcare in Qatar. “At WCMC-Q, we pledge to do our utmost to implement the different stages of Your Health First. Our academic and research staff, as well as our labs, will work towards achieving the goals of this nationwide program. Usually, people’s behavior reflects the traditional wisdom that ‘health is a crown over the head of a healthy person, only sick people see it’. We today launch a health educational program that will promote healthy behavior,” Dr. Sheikh added. H.E Dr. Mohammed bin Saleh Al-Sada, Minister of Energy and Industry and Chairman & Managing Director of Qatar Petroleum, said: “Our efforts at Qatar Petroleum are focused on achieving the goals of Qatar National Vision 2030. Preventive healthcare is one of the main areas of our corporate social responsibility strategy and we are delighted to partner with WCMC-Q and SCH on this truly groundbreaking nationwide public health initiative. We are confident that this program will contribute significantly in raising public awareness on the importance of preventive healthcare and it will surely have a positive impact on improving occupational health throughout the country. The Your Health First campaign consists of five stages, the first of which ends on December 31, 2012. During this time, the focus will be on health information and preventive measures; simplified medical terms will be used to ensure that the public will make use of the information provided. The first phase of the campaign covers a wide range of topics including diabetes, cardiovascular diseases, osteoporosis, psychological health, woman and child healthcare, bone health and rheumatoid arthritis, stress and insomnia, benefits of vitamins, cancer, healthy eating habits amongst children, teens and adults. This initiative includes five-minute health awareness programs to be aired on Qatar Television during the holy month of Ramadan, as well as daily health tips via Qatar Radio. WCMC-Q would like to thank senior officials at Qatar Radio and Television Corporation for their support of the campaign and Q. Media for their cooperation in this initiative. Your Health First will also make use of digital media and social networks, including Facebook, Twitter and YouTube, to reach the largest number of Qatari nationals and expatriates living in the country. The program’s exclusive telecommunication partner, Vodafone Qatar, which is a joint venture between Vodafone and Qatar Foundation, will develop a bespoke application for the campaign than can be downloaded by users of smart phones. The application will provide users with updated health tips for healthy lifestyles. Vodafone Qatar will also launch an SMS campaign in support of WCMC-Q’s initiative. During the first phase of the campaign, to run from June 25 to December 31, 2012, a range of related awareness events will be held targeting different age groups, with a focus on children and teens. These will include the Painting a Healthy Future initiative, which aims to attract people of different ages to participate in creating a collective health-related painting which will, hopefully, break a world record and enter the Guinness Book of World Records. Be Ready for the Challenge is an inter-school contest that will see schools compete to raise health awareness. Each of the other stages of WCMC-Q’s Your Health First campaign will last for a year with a focus on two major health issues as well as public health.